This past Saturday, Sacramento County opened the doors to its first Vote Center for the June 5, 2018 election. This past Saturday, Sacramento County opened the doors to its first Vote Center for the June 5, 2018 election. Sacramento County is one of the five counties to opt into the Voters Choice Act (VCA), a new state law that Common Cause supported which provides voters in participating counties with “more days & more ways” to vote. Any voters in Sacramento County may not go to the La Familia Neighborhood Center, or any other vote center in the county, to vote or even to register to vote and vote on the same day. The Voters Choice Act gives voters more options for how to vote and return their ballot. Unlike other counties, in VCA counties, every registered voter receives a vote by mail ballot. The voter can return that ballot either by mail, by dropping it off at any drop-off site in the county, or by voting in-person at a vote center. Vote centers replace traditional polling sites: while there are fewer of them, they are open for up to 11 days through Election Day, including on weekends. A voter may vote at any vote center in the county, not just the one nearest to their home. Vote Centers have many functions: at a center, a voter may vote, register to vote and then vote, and receive language assistance with voting. Secretary of State Alex Padilla, Assemblyman Kevin McCarty, Sacramento Mayor Darrell Steinberg, and Sacramento City Councilmembers Eric Guerra and Jay Schenirer were present at the ribbon cutting to formally open the vote center at the La Familia Neighborhood Center in the City of Sacramento. 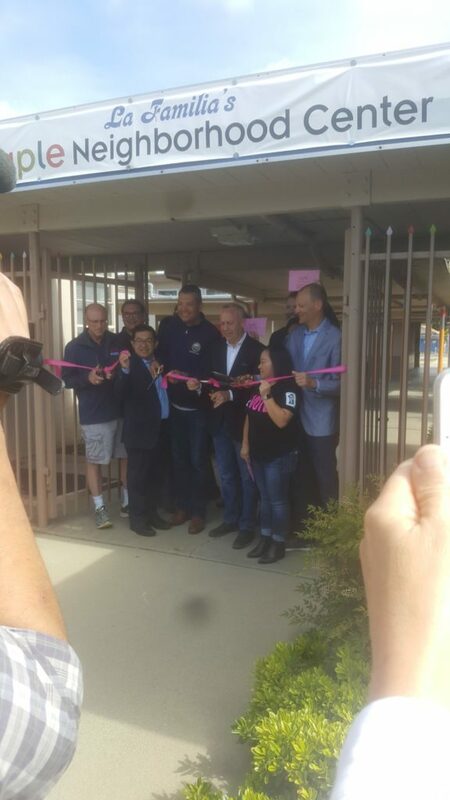 Secretary of State Alex Padilla, Assemblyman Kevin McCarty, Sacramento Mayor Darrell Steinberg, Sacramento City Councilmembers Eric Guerra and Jay Schenirer, and community leaders formally cut the ribbon opening the Vote Center at La Familia Neighborhood Center. 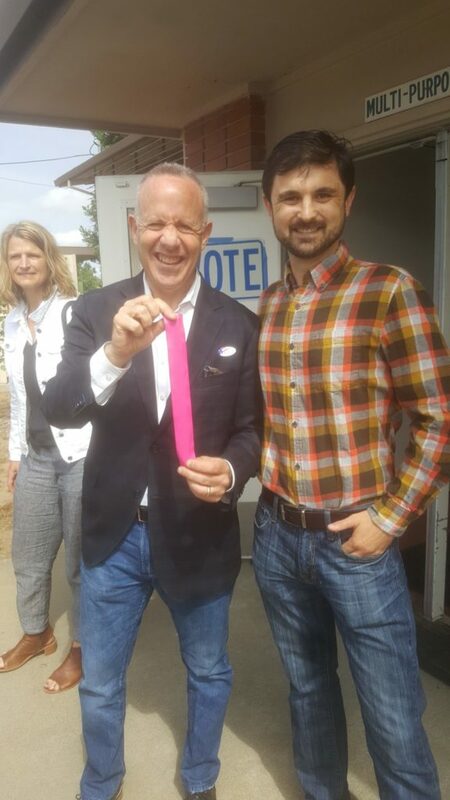 Common Cause Policy and Legal Director Nicolas Heidorn with Sacramento Mayor Darrell Steinberg, holding the cut ribbon.